I'm interested in peoples opinions on the possibility of habituation. Is it possible to form relationships with individuals or groups in a way that might eventually provide some conclusive evidence? DaveR wrote: I'm interested in peoples opinions on the possibility of habituation. Is it possible to form relationships with individuals or groups in a way that might eventually provide some conclusive evidence? I seem to remember reading somewhere in the past someone claiming to the affect that sasquatch/yowies habituate humans, not the reverse. gregvalentine wrote: I seem to remember reading somewhere in the past someone claiming to the affect that sasquatch/yowies habituate humans, not the reverse. I could appreciate that. I am reminded of Rusty's "feeding" experience. They definitely seemed to be the ones in control. Opinions are like ... well you know, everyone has one. What follows is from what I have read rather than my own personal experience. Unfortunately I live too far from any active areas to keep up an affordable habituation program. Habituation is a tried and tested method of interacting with animals of all types but each species has it's own unique approaches and cautionary tales. From what I have read most people attempting to habituate our hairy friends have used primate habituation experiences (specifically chimps and great apes) as a basis upon which to build. Is it possible? Why would it not be? Habituation isn't magic and is just making someone accustomed to some situation or thing. It applies to humans in many ways equally as relevant as it does to animals. Most animals can be "habituated" to an extent but that extent varies on a number of factors of which some are controllable and some are not. When I was a kid we "habituated" a family of Butcher Birds to take food from directly from out hands without much difficulty other than the right food, patience and consistency. Regarding reverse habituation, my cat and dog habituate me every day at feeding time, pestering me incessantly until I give them what they want. 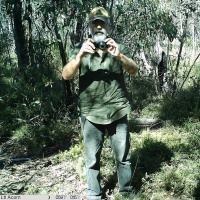 These are animals and Yowie/Bigfoot/Sasquatch have exhibited some of the same behaviours as other habituated animals, both wild and domestic. If they become overly reliant on humans as a source of food, to the point where it starts to change their foraging habits and they begin to cease foraging elsewhere as normal, then any sudden cut-off in the food supply can lead to problematic interactions. This has been experienced with gorilla habituation groups and ended up with the gorillas being shot because they were encroaching into people's farm land and stealing food instead of foraging in their own habitat as they once did before they experienced habituation. 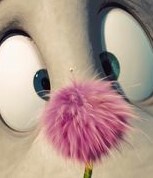 Likewise our hairy friends have also at times become a nuisance in the same way. 1. Have an entrance and exit strategy. Build slowly and wean them off slowly when/if you are done. 2. Choose a suitable area and suitable food. 3. Find a suitable group. They have different personalities, curiosity and aggression levels so this will also affect chances of success. 4. Be consistent and punctual. 5. Watch for warning signs, unusual behaviour and be prepared to change your plan or cease all together if necessary. 6. Don't bring technology into the mix. It seems to be a deal breaker, so leave it alone initially. No doubt people like Ray, Rusty, etc. who have experience at this will be able to better guide you. Beautifully put, Trevor, thank you. Excellent post Trevor.. makes sense. TrevorPeters wrote: Opinions are like ... well you know, everyone has one. I would add to use interesting items rather than food or in addition to food. If you must use food, keep it natural... fruits, nuts, etc. definitely not chocolate and other junk. With any luck you may get a 'trading mentality' then rather than a 'tribute attitude'. The latter can lead to all sorts of problems, going by experiences I have heard from the likes of Sasquatch Chronicles and Bigfoot Outlaws. There have been countless reports of high aggression for new home owners (who are often amazed at getting such nice, country properties so cheap). I wonder how many are because the previous home owner was habituating the local troop... then left. And it may not have been voluntary, they could have been leaving feed out for livestock, or dumping kitchen scraps in the bush. I have heard that you never ever habituate Bigfoot particularly by leaving them food as they can become quite aggressive if they don't get what they want. There is a huge thread on what is probably the largest US Bigfoot forum-it is hundreds of pages on habituation by people who habituate and those who have questions. Was a fascinating read until they made it private. You could look into that-lots of experiences and suggestions there. Of course, I still don't think they are just an animal-I think they are a kind of people and seem to be wicked good at manipulating humans. Two posters always stood out to me and while they claimed they had long term acquaintance with the Sasquatch the upshot was that in the end maybe the Sasquatch are not so very nice and cuddly and humans are easily dismissed/replaced if necessary. It was strongly implied that the Sasquatch people were 'using' humans-taking advantage. They gave the humans just enough attention to keep them enthralled but in the end not much information was given to the humans. Back to square one-they exist but who are they, what do they really do, what is their history and relationship to us? Nothing conclusive. There were also suggestions by the habituators that Sasquatch like to prank and lie if they feel like it. Truly fascinating stuff. Also says something that the forum decided to make it private-it had a huge amount of views. Seems to me the forum likes to keep to the wild animal/monkey idea. That is why I joined this forum. It is able to be viewed by the public. Since nobody seems to have a definitive answer, it is good for everyone to discuss their theories and experiences. I think everything related to the Sasquatch should be made public-people need to know who else inhabits this planet of ours, don't you think? 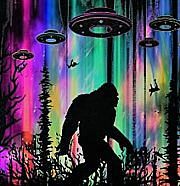 Speck wrote: There is a huge thread on what is probably the largest US Bigfoot forum-it is hundreds of pages on habituation by people who habituate and those who have questions. Was a fascinating read until they made it private. You could look into that-lots of experiences and suggestions there. Of course, I still don't think they are just an animal-I think they are a kind of people and seem to be wicked good at manipulating humans. Two posters always stood out to me and while they claimed they had long term acquaintance with the Sasquatch the upshot was that in the end maybe the Sasquatch are not so very nice and cuddly and humans are easily dismissed/replaced if necessary. It was strongly implied that the Sasquatch people were 'using' humans-taking advantage. They gave the humans just enough attention to keep them enthralled but in the end not much information was given to the humans. Back to square one-they exist but who are they, what do they really do, what is their history and relationship to us? Nothing conclusive. There were also suggestions by the habituators that Sasquatch like to prank and lie if they feel like it. Truly fascinating stuff. Also says something that the forum decided to make it private-it had a huge amount of views. Seems to me the forum likes to keep to the wild animal/monkey idea.